Hello hello!! 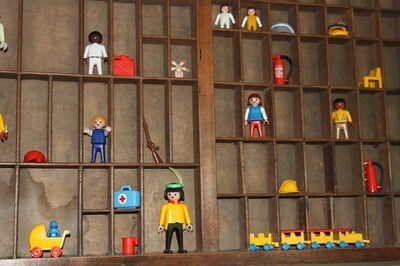 I really did intend to do some more posts but have been busy busy, as always I guess! Got 3 weeks off work now so hopefully going to get most of the painting and decorating done in the next few days so that the rest of the time can be spent relaxing. Pretty sure that won't actually happen though, why is it that I don't seem to be able to just sit down and relax, always got to be doing something or it feels like I am wasting the time. 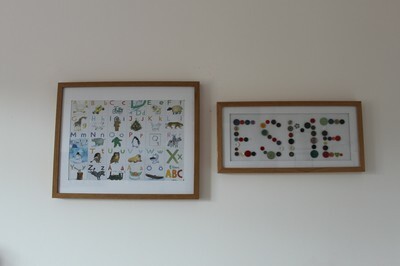 Have had the very exciting job of painting skirting boards today and we have also put up some pictures in Esme's room. 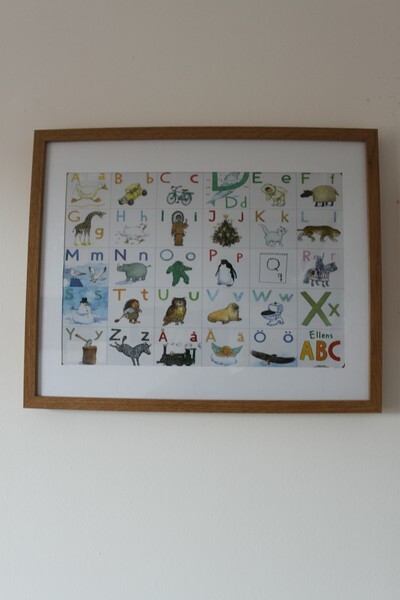 Esme's morfar and plast mormor bought her an alphabet table mat but I decided to frame it instead. 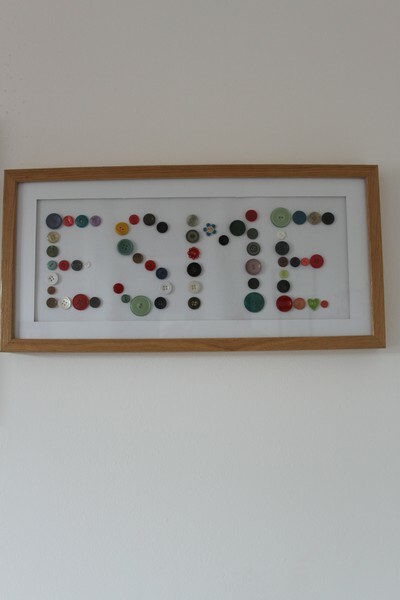 Also made an ESME sign out of a load of spare buttons I had, think they look quite nice up on the wall together? 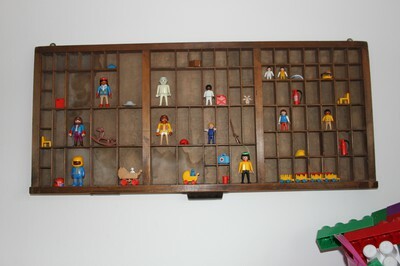 A while back when me and Emma went to the vintage fair I also bought an old printer's tray and that is now also up in her room, complete with some very old playmobil things that Pete got given from someone he works with. Very cute me thinks!